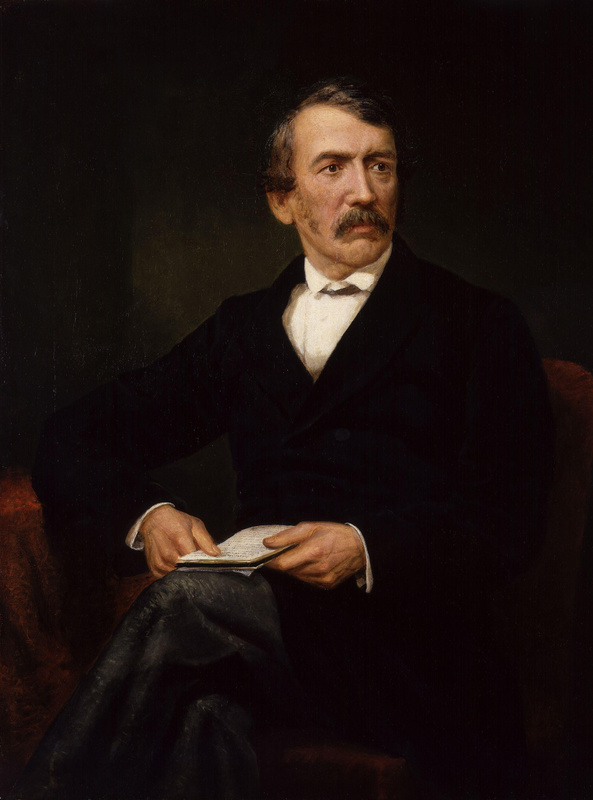 David Livingstone went to Africa as a missionary in the mid-1800s and became one of the continent’s leading explorers and geographers. He also played a key role in the movement to end the SLAVE TRADE. Born in Blantyre, Scotland, Livingstone began work in a cotton mill at the age of ten. Determined to become a medical missionary, he studied religion and medicine, and in 1841 the London Missionary Society sent him to SOUTH AFRICA. By the late 1840s, Livingstone was eager to travel into unexplored areas. His long-terms goals in Africa included abolishing the slave trade and achieving a better understanding of the continent and its people. On a journey into present-day BOTSWANA in 1849 he discovered Lake Ngami, for which he received an award from Britain’s Royal Geographical Society. Four years later, leaving his wife and children in Scotland, Livingstone began his greatest journey of exploration. It lasted for more than three years and carried him northeast to Luanda (in present-day Angola) on the Atlantic coast and then across Africa to Quelimane (in present-day Mozambique) on the Pacific coast. In the course of his travels he came upon the ZAMBEZI RIVER and its magnificent waterfall, which he named Victoria Falls after Britain’s queen. From 1858 to 1864 Livingstone commanded a British government expedition up the Zambezi. Although he had hoped that the expedition would introduce modern trade to the region, its greatest success was locating Lake Malawi. Livingstone spent the years from 1865 to his death in what is now TANZANIA and ZAMBIA, investigating the slave trade and exploring. The outside world received no news of the famous explorer. Rumors about his fate prompted Henry Morton STANLEY, an American journalist, to go to central Africa to look for him. In 1871 Stanley met the explorer on the shores of Lake Tanganyika and supposedly remarked, “Dr. Livingstone, I presume.” Despite increasing illness Livingstone refused to accompany Stanley back to the coast. Two years later, at Chitambo in present-day Zambia, Livingstone died. His African servants carried his body to the coast, and he was later buried in Westminster Abbey, London.